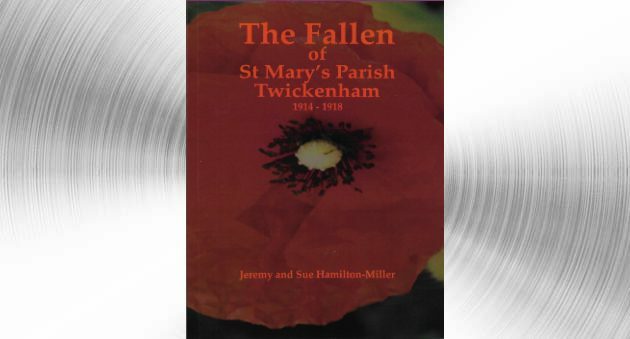 Jeremy and Sue Hamilton-Miller bring together several years of extensive research into the lives and deaths of all those who are commemorated on the war memorial in the grounds of St Mary’s Church Twickenham and on the Roll of Honour inside the church. There are 120 names in all and the book gives a moving account of real people, their families, occupations and military careers. The Fallen has 132 pages, numerous illustrations and information about the ‘football battalions’, occupations and the resting places of many of those commemorated.